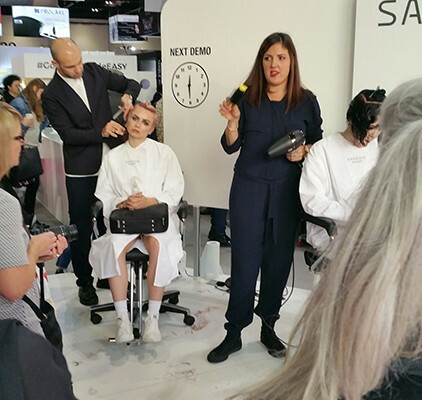 We had a great day out at Salon International recently, where we saw fantastic products and new innovations for hairdressing. The Excel at Custom House was the ideal venue for the monumental exhibits and equipment needed to display various industry greats. 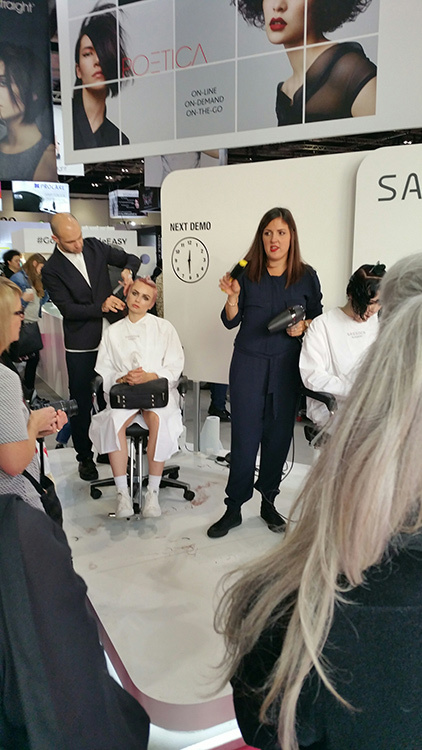 Amongst other names were Vidal Sassoon, Toni & Guy, Hairdressers Journal, Schwarzkopf, Fudge, Fibreplex (more of which will be in our next blog) and Cloud Nine. 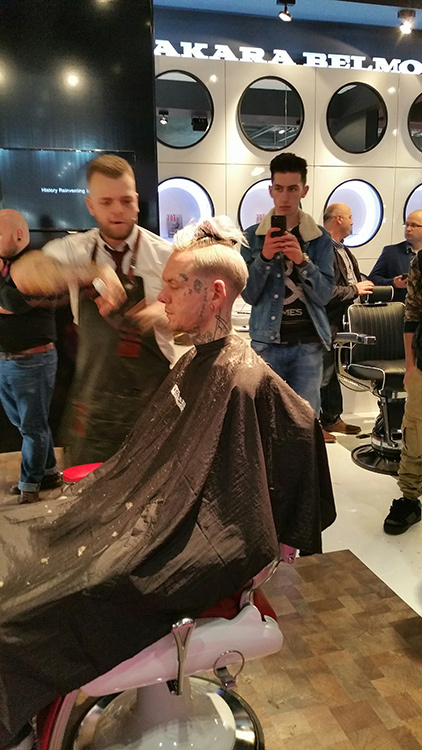 There were Salon chairs, backwashes, stools, and barbering chairs to look at, along with many new hair products. 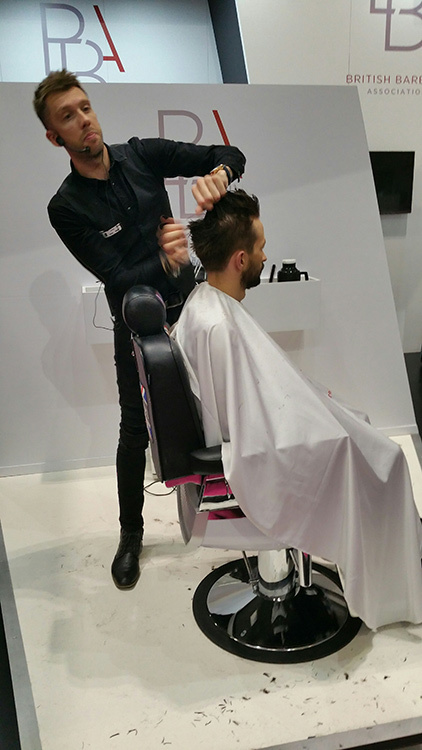 Barbering had a strong presence including hundreds of beard gadgets, foams, oils, and mousses. 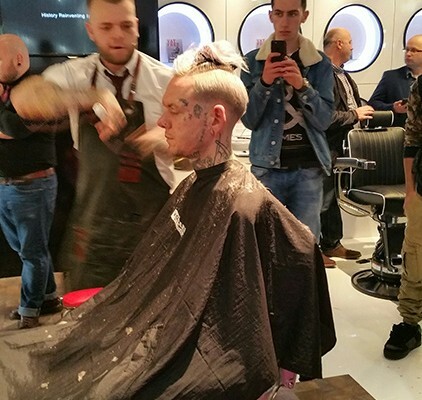 We watched some barbering demonstrations and many hair extension methods. 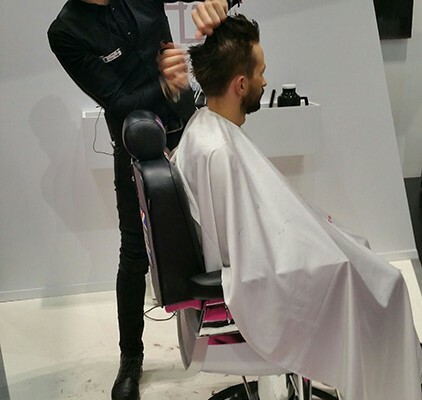 It is always good to see what other salons are doing as this keeps us moving forward, changing and improving. 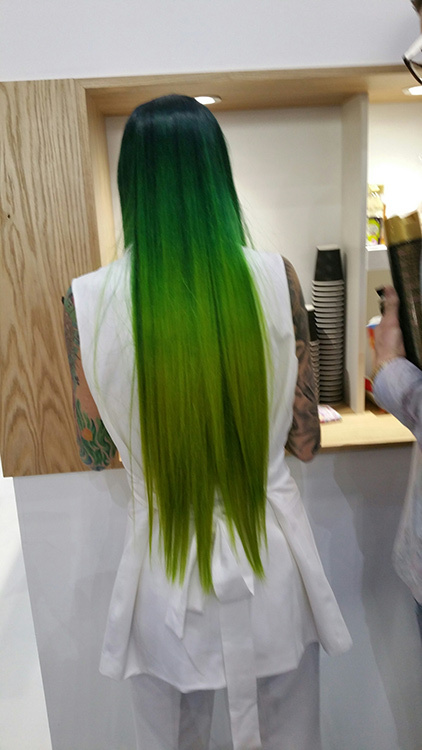 We are proud of our Great Length Hair extensions and although there is some strong competition we feel that our cold fusion method is the best. The hair sits better after the extensions have been put in, the quality is fantastic and the choice of colour and lengths are almost limitless. There were endless gadgets on display and tools of the trade to try out, which was fun! Hannah sampled a pair of virtual reality goggles that put her on a thin ledge walking over London! 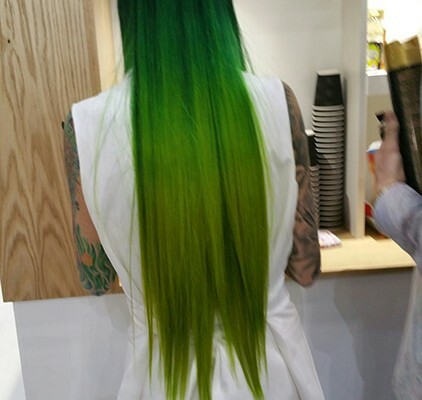 Nothing to do with hair but a hair-raising experience! Overall, a fun day, with learning thrown in. Hope you like the selection of photos from the day. Red hair for Autumn Celebrations! Gifts! Children in Need!